To develop a Android Application that makes use of RSS Feed. Then type the Application name as “ex.no.6″ and click Next. So now the Permissions are added in the Manifest. 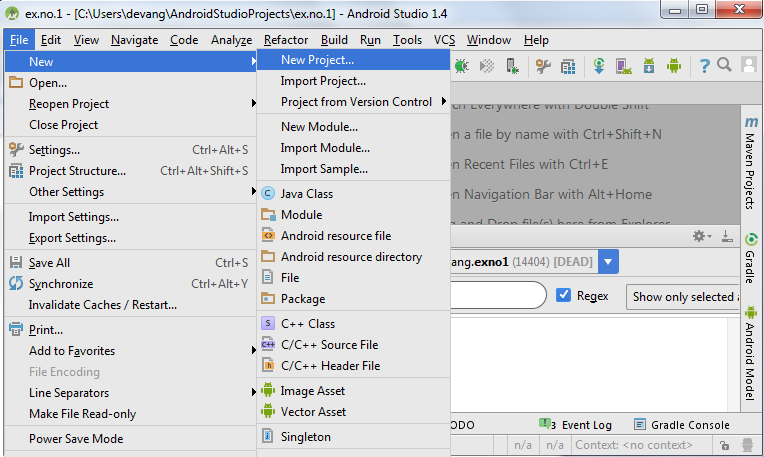 Click on app -> java -> com.example.exno6 -> MainActivity. // Returns the type of current event: START_TAG, END_TAG, etc.. Thus Android Application that makes use of RSS Feed is developed and executed successfully. Great, simple and easy. works like a charm. How can I extract thumbnails from rss feed using this code?